Few things in health care have as direct an impact on patient care as pathophysiology - the "whys" of what happens during disease and what we must do to treat it. If you know your pathophysiology, you can provide an accurate, speedy assessment and treatment for your patient. Just about every potentially serious condition has a "trigger point." Once this point is reached, a fairly uniform and predictable set of events occurs - mediators are released, causing worse events to take place. The result, left untreated, is multiple organ system dysfunction, multiple organ system failure, cardiac failure, then death. The seminar will apply this straightforward model to many important medical conditions. Understanding the "whys" behind these events enables us, as health care practitioners, to best assess the patient and intervene in a timely and effective manner. By the end of the day, you'll have a thorough understanding of these principles and will know how and when to properly apply them. Using clinical examples, explain the statement: "Virtually all human disease is 'autoimmune' in nature." Outline an effective method to review options in pharmacologic therapy for any condition. Identify the self-destructive spiral of progressive chronic heart failure. Explain how the following drugs may abort or reverse the self-destructive spiral of heart failure: beta-blockers, angiotensin converting enzyme (ACE) blockers, angiotensin-receptor blockers (ARBS), aldosterone blockers, synthetic natriuretic proteins. Describe why the statin drugs significantly reduce a person's risk of cardiovascular disease (MI and stroke), regardless of the serum cholesterol level. Describe the mechanism underlying death in asthma and identify a way to prevent it. Apply the "Three Question Approach" to interpretation of arterial blood gases. State and understand the "common mechanism" for shock, regardless of the initial cause. What type of shock is this? Angela Dizon, MD, MSN, MBA-HCM, BSN, RN, NP-C, is a physician, advanced care practitioner and a registered nurse, with more than two decades of experience in clinical practice. Angelica currently serves as the director of clinical services in one of the leading home healthcare agencies in Maryland. She has extensive past experiences both in the acute care and long-term care settings as well. Her diverse experiences provide her with unique perspectives on the importance of an in-depth understanding of pharmacology. As a clinician, she sees complicated patient cases that often go beyond a simple infectious disease presentation. The care she delivers can be complicated by current and past medical histories, which requires keen insights to determine the medications and treatments that are going to support the patients healing. 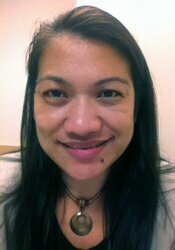 Angelica enjoys sharing her expertise and excels at putting complex topics in to a plain English approach. As such, she is a sought-after presenter, sharing her vast knowledge with experienced interdisciplinary audiences across the country. Financial: Angelica F. Dizon is a faculty member for Radians College. She receives a speaking honorarium from PESI, Inc.
Nonfinancial: Angelica F. Dizon has no relevant nonfinancial relationships to disclose. This program offers 180 instructional minutes of pharmacology content which is designed to qualify for 3.0 contact hours toward your pharmacology requirement to receive credit. It is your responsibility to submit your certificate of successful completion and a copy of the seminar brochure to your licensing board. MARYLAND PHYSICAL THERAPISTS AND PHYSICAL THERAPIST ASSISTANTS: This course meets the basic criteria of the Maryland State Board of Physical Therapy Examiners and has been approved for .6 CEUs.